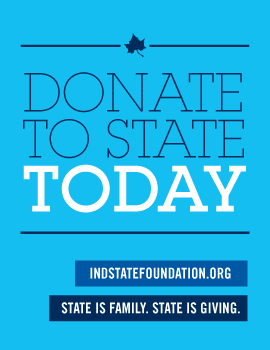 If your home university has a signed partnership agreement with Indiana State University. Complete and submit the online nondegree university application. Fill out the application form completely. Use your name as it appears on your passport. It is vital to use the same name on all correspondence to Indiana State. If you do not have a U.S. social security number, leave this item blank, and the University will assign you a University identification number. Write your address as you would on an envelope to be mailed to yourself. Include your street and number (or post office box), city/US IP code, province/state/zone, postal code, and country. When completing your address on your application, your permanent address must be your home country address, even if you are currently residing in the United States. Do not list the United States address of a friend or relative. Select International Exchange as reason for enrolling in the applicant information section. The application fee is payable by Visa, MasterCard, or check or international money order made payable to Indiana State University. Submit the application fee to the Office of Admissions, Indiana State University. Please note the application fee is non-refundable.